Let me start with some GOOD news that made us all very happy and energized us at Child Foundation. The results of Konkur (Iranian National entrance exam) are in and hundreds of our sponsored children have passed and are on their way to top universities. We will share all the details in our next newsletter, but for now, I can say 3 of our children ended up in top 100 and 12 of them in top 1000. These are impressive achievements that makes us very proud. Without the support of our community, we could not have accomplished this milestone. On behalf of all of our children, we would like to Thank You for their achievements. As previously reported, 1,000 backpacks have been distributed and another 1,000 are on their way this week. Although there was a recent hike in the US Dollar which makes goods in Iran much more expensive, we are determined to reach our goal of providing 5,000 backpack to children in need . Our office in Zabul has informed us about a drastic weather situation and in response, we have decided to reroute 1,000 of our backpacks to children in Zabul. Please see more information below and donate to our Back-to-School campaign so we can reach our goal. As the economy in Iran is in a turmoil, the effects are most visible in vulnerable poor communities. For this reason, the number of children’s files in need of immediate support has increased by 300%. Please visit our waiting list here and sponsor a child in need. $1/day might not be that much to you, but it could be a jump start for child on his/her path to a successful future attending university and eventually out of poverty. Please sponsor one here today. With global warming on the rise, scientists have reported the Earth has gotten warmer by ½ a degree. In provinces like Sistan & Baluchestan in Iran, it has gotten warmer by 2 degrees. Every year, their communities experience sand storms which are called “ 120 days of Winds ” that usually lasted 4 months. In addition, they have had only 50 mm of rain/year and as Hamun Lake close by is drying up, they are experiencing longer storms that last more than 150 days and are more intensified. Child Foundation office in Zabul are in need of our help. They want to provide at least 1,000 backpacks which includes masks for children to help them breathe safely. If you wish to help them, please donate to our Back-to-School campaign . We ask you to share our initiative with your friends to join us in helping children of Sistan Baluchestan. You can also start a fundraiser with your friends by creating a Facebook fundraiser which takes only a few minutes (visit our site here for directions on how to start a Facebook fundraiser). Abolfazl is an 8-year-old child from Ardebil, Iran. He is a smart and talented student who has passed the 1st grade and is waiting for the start of the new school year. He is deprived of the support of his father and lives with his mother. His mother weaves carpets in hopes of sustaining a job but since she is not as skillful as other carpet, weavers, there has been no business. Abolfazl has a promising future in consideration of his talents. His tomorrow can be bright with your assistance and support. 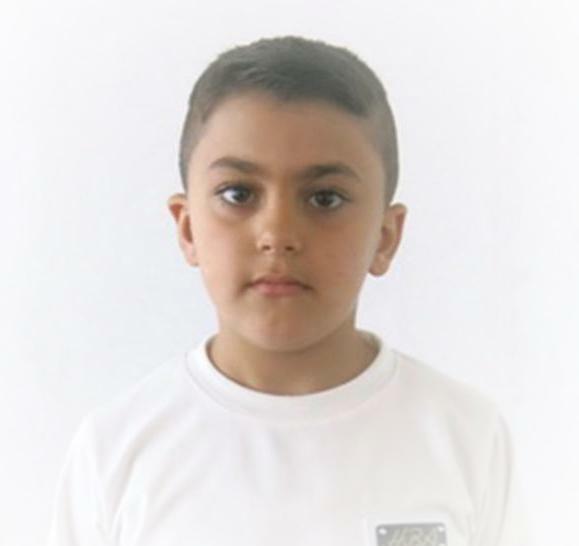 After reviewing Abolfazl’s talents, interest, and motivations and taking into consideration the financial needs of the family, Child foundation has granted a $63/Month scholarship to this talented student and invite all supporters to take a step in building a brighter future for Abolfazl. You can join and support him with a minimum of $30 per month. Ali is a 9-year-old boy from Jiroft, Kerman. He has successfully completed the second grade and is awaiting the start of the new school year. Ali's family is one of the thousands of families who have been victims of social harm. Ali’s father left their family when he was young and left his mother to raise him a lone. ﻿His mother works on agricultural fields trying her best to earn a living to support her son. Since they can not afford the extraordinary cost of living on their own, Ali and his mother are living at his grandmother's home. 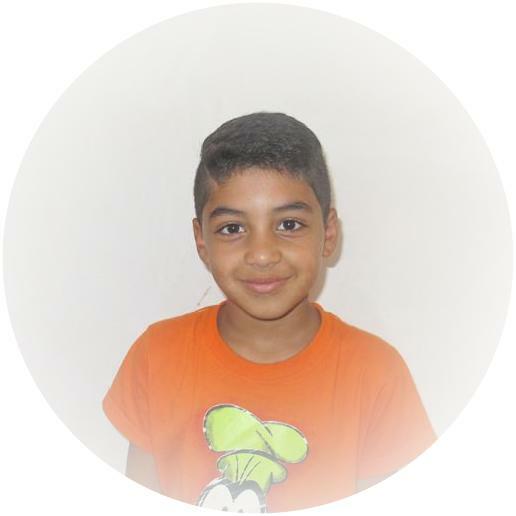 Ali enjoys studying and dreams that his hard work will allow him to have a better future for his family. After reviewing Ali’s talents, interest, and motivations and taking into consideration the financial needs of the family, Child Foundation has granted a $50/Month Scholarship to the student. Join us in creating a better future for him. Please take action and sponsor Ali with a minimum of $30 per month. Are you celebrating any occasions that are worth sharing your happiness and blessings with the less fortunate ones? Is it your birthday, engagement, marriage …? Or maybe you just want to pay respect to a loved one that you have missed? 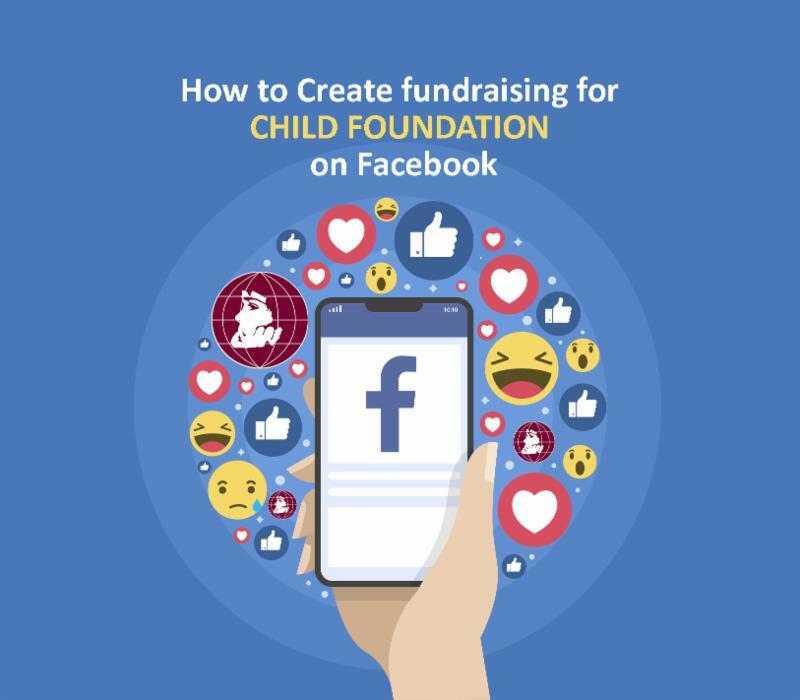 Whatever the occasion is, you can start a Facebook Fundraiser to celebrate the occasion and help children in need. Child Foundation is teaming up with Community Partners for Affordable Housing to provide 150 backpacks to children from low-income families in Portland. By providing these children with backpacks, we are ensuring the children start their new school year off to a good start as they will have all the items needed to succeed. In a letter, CPAH’s Executive Director, Rachael Duke, thanked Child Foundation for its commitment to help children in need in Portland. As we expand our services to children around the world, we need to hire more devoted people like yourself. We are a 24-year old international charity that helps children in need have access to education. We are growing day by day and credit our growth to our devoted employees. We care about our diversity and feel it’s one of our strengths. An intelligent and optimistic individual who is not afraid to work hard. We are seeking someone who is confident and curious and open to learning and making a difference in the world. Someone who cares about others and wants to help people any chance they get. What roles are we looking to fill? We need to strengthen our Public Relations, Accounting, and Customer Service. Editorial and past experience is a bonus! If you are up to the challenge and have a valid work visa to work in the United States, we love to hear from you! Please visit our career page here .